Authorities are searching for a man who robbed an Encinitas bank wearing a Santa hat. 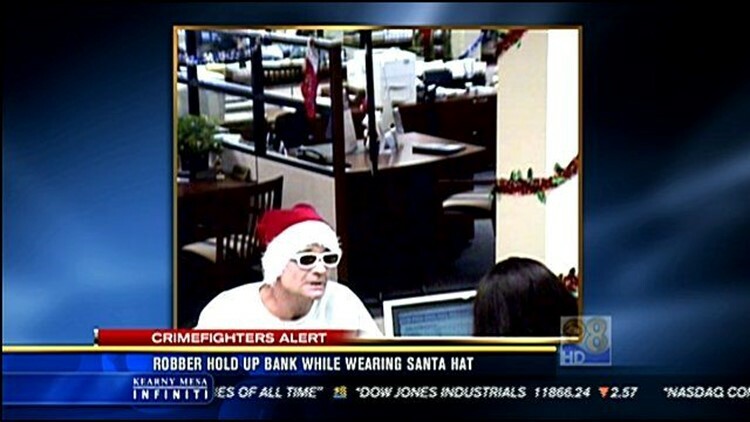 ENCINITAS (CBS 8) - Authorities are searching for a man who robbed an Encinitas bank wearing a Santa hat. It happened at the California Bank and Trust along Saxony Road on Friday. The FBI says the robber gave the bank teller a demand note that read, "My kid is dying and I can't afford to pay. I'm scared and have a gun. Please no GPS or red dye." He then took off with an unknown amount of cash. The robber was last seen driving away in a beige or gold colored Honda SUV.